Availability of synthetic mRNAs enabled progress in their applications. Tremendous interest of private investors and PHARMA has created a billion € business. AmpTec supports new players by providing customized, high quality mRNA products. Important features, technical options for high-amount, high-quality mRNA synthesis and GMP-compliant manufacturing will be presented. Specific mRNA features will be presented for diverse applications like (i) mRNA-directed expression of antigens in dendritic cells for vaccination projects in oncogenesis, infectious disease and allergy prevention; (ii) reprogramming of adult cells to induced pluripotent stem cells with their subsequent differentiation to the desired cell type; (iii) applications in gene therapy. A recent overview has summarised applications and syn-mRNA quality requirements. Syn-mRNAs can be generated by in vitro transcription (IVT) from defined templates containing the synthetic gene of interest. In principle, linearised plasmids (with a restriction enzyme) can be used directly as templates in IVT reactions, However, this procedure is hampered by several disadvantages: incomplete plasmid cleavage results in variable amounts of very long and undefined background transcripts; high amounts of plasmid DNA introduce undesired bacterial components. Furthermore, optimal mRNA activity depends on a very long, unmasked poly(A) tail, like 120 A. However hompolymeric repeats are prone to random deletions/elongations during plasmid propagation in bacteria. Instead of plasmids, we use well defined PCR-products as IVT-templates. This approach with examples will be shown. Technical problems in IVT-based mRNA synthesis and problem-solutions will be presented, plus a detailed list of quality requirements for GMP-compliant synthetic mRNAs. Dr. Kiminobu Sugaya is a Professor and Head of Neuroscience in Burnett School of Biomedical Science, College of Medicine, University of Central Florida (UCF) since 2004. 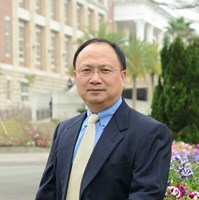 He is a Chair of Multidisciplinary Neuroscience Alliance of UCF. He moved from Japan to Mayo Clinic, US as a postdoc. in 1992 when he was a lecturer in Science University of Tokyo and he was promoted to an associate consultant in 1994. Then he moved to the University of Illinois at Chicago as an assistant professor in 1997 and got promoted to an associate professor in 2002. He has been conducting stem cell researches to treat neurodegenerative diseases by the adult stem cells. He recently received National Honor Plaque of Panama for exceptional contribution to neuroscience based on his study on stem cell therapies for neurodegenerative diseases. His publication regarding improvement of memory in the aged animal by stem cell transplantation was reported Washington Post, BBC, NBC, ABC and other media in all over the world. 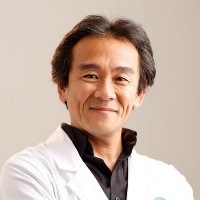 Dr. Sugaya is also a founder and chair of Progenicyte, which is a biotech company holding his 67 patent licenses, including a revolutionary process of creating pluripotent stem cells from a patient's own cells and a novel pharmaceutical approach to increase endogenous stem cells. He also recently established and SynapCyte, which is a biopharmaceutical company to conduct clinical trials of Alzheimer’s and Parkinson’s disease therapies based on his patents. Despite decades of investigations in both laboratory and clinic, the pathophysiological mechanism of Alzheimer’s disease (AD) still remains unknown. Current problem of developing AD research is that many treatments have been found to be very effective in AD animal models but they failed to show significant effects in clinical trials. Thus, establishment of an effective treatment in a model, which represents pathophysiology of AD, is needed. Previously, we were able to show improved cognitive function of aged, memory-impaired animals through the implantation of human neural stem cells (NSCs), which produced much excitement throughout the research world and the overall medical community; given the implication that this could lead to a cure for all neurodegenerative diseases, including AD. However, when we transplanted NSCs to a transgenic animal model produced Amyloid-? (A?) plaque formation in the brain by expressing familial AD mutant amyloid precursor protein (APP), mimicking the pathological condition of AD, we did not find any new neuronal development formed from the donor cells. This indicates that transplantation of NSCs by itself may not be a cure for AD. Here, we show that the combination drug therapy of Posiphen (reduce APP level) and NBI-18 (increase endogenous neural stem cell) increased neurogenesis and significantly improved memory in the transgenic AD mouse model. This combination therapy could bring us an effective treatment for AD. I will further discuss the use of iPS cell to confirm this efficacy in vitro 3D human AD brain model. 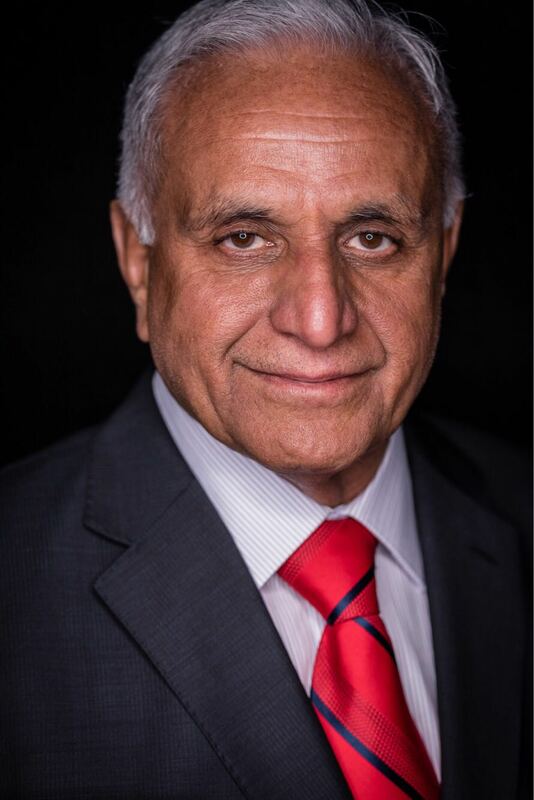 Dr. Sain specializes in advanced nanocellulose technology, biocomposites and bio-nanocomposites at the University of Toronto, Faculty of Forestry. He is cross-appointed to the Department of Chemical Engineering and Applied Chemistry. He is a fellow of Royal Society of Chemistry, UK and Fellow of Canadian Academy of Engineering. Besides, he is also an adjunct professor of the University of Guelph,University of Lulea, Sweden, Honorary Professor at Slovak Technical University and Institute of Environmental Science at the University of Toronto, and collaborates with American and European research institutes and universities. He is also the co-author of the world’s first book on Cellulose nanocomposites, cellulose for electronic devices and has co-edited a number of books on renewable advanced materials. He is involved in many global strategic research policy developments, standardization, research funding strategic councils in advisory role. 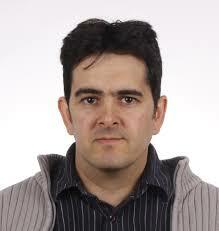 He is highly acclaimed engineering consultant in materials engineering and work with almost 100 companies worldwide. Organics electronics gained significant interest at a time when neuro-network or artificial intelligence become a main-stream technology after more than 25 years of nacent stage. Transportation industry is an early adaptor of the technology. When next gen vehichle systems including autonomous vehicle need a significantly precise control of the sensing mechanism, the success of the technology will also depend on how precisely such device can predict human behaviour. As a result, a significant amount of research has been underway on neuro-network system to more accurately predicting human behavior in a sensor dominated world with a precise control of predictability behavior over the service life of new vehicle systems. This presentation will highlight the design, construction and validation of flexible elelctronic devices from lab scale to pilot scale and present early stage data on relations between the unit process and intrinsic uncertainty to predict human behaviour with confidence. To address these issues an artificial intelligent system seems to be a very good option. Artificial neural networks (ANNs) are a family of models inspired by biological neural networks (brain). On the bright side, we only need approximate formulation, we can show the program some examples of input and output, and let the program find out how to provide output from the input. The ANNs has its own drawbacks. Although ANN is used for LCA, all the aspect of the LCA is fuzzy in nature. My laboratory discovered that some bovine antibodies are the largest known to exist in a species. This is because of generation of an exceptionally long CDR3H (up to 61 amino acids) which is encoded by an unusually long germline IGHD genes together with an unique insertion of “A” nucleotide rich conserved short nucleotide sequence at the IGHV-IGHD junction. The atypical CDR3H provides a “knob and stalk” structure capable of creating configurational diversity via variable intra-CDR3H disulfide bridges within the knob. The knob is held by the solvent exposed stalk formed by anti-parallel beta strands. I have exploited these structural features of the bovine antibody for the development of new therapeutics and vaccines. In this context, I will provide insights into the structural optimization of anti-viral bovine scFv to enhance their potency, apart from discussing influence of framework residues on viral neutralization function. I will provide ‘proof of concept’ for developing new vaccines by antigenizing bovine antibody with exceptionally long CDR3H that induce specific immune response. First, I successfully developed functional bovine scFv with an exceptionally long CDR3H followed by grafting of a viral B-epitope into the CDR3H. The grafted B-epitope in the exceptionally long CDR3H of bovine scFv sustained its native configuration and induced desired specific antibody response. Thus, antigenization of bovine scFv with an exceptionally long CDR3H provides a novel approach to developing new vaccines against infectious disease. Goetz RA Ehrhardt has completed his PhD at the University of British Columbia and continued his training as Post-doctoral fellow in the laboratory of Dr. Max D Cooper at Emory University in Atlanta, GA. In 2011, he was recruited to the Department of Immunology at the University of Toronto. His laboratory focuses on mechanisms governing the regulation of human memory B cell responses and on the use of the non-conventional VLR antibody system of jawless vertebrates for biomarker discovery purposes. Monoclonal antibodies are widely used reagents in biomedical research as well as in clinical applications. However, tolerogenic and structural constraints limit the antibody repertoire. In contrast to conventional antibodies, the recently identified variable lymphocyte receptor (VLR) antibodies of the evolutionarily distant jawless vertebrates utilize the ?-sheet forming leucine-rich repeat (LRR) as basic structural unit. We hypothesize that the unique origins and radically distinct protein architecture will allow VLR antibodies to bind antigens, which conventional antibodies cannot readily recognize for tolerogenic or structural constraints. Memory B cells (Bmem) and plasma cells (PC) are tasked with providing long lasting humoral protection to re-encountered pathogens. However, no conventional antibodies exist that specifically detect these cell populations. In an effort to identify novel biomarkers uniquely expressed on Bmem and PC, we developed a method to generate monoclonal VLR antibodies to cell surface antigens. We isolated panels of monoclonal VLR antibodies binding specifically to human Bmem and PC. Flow cytometric analysis of VLR antibody binding to cell lines and primary human cells from blood, tonsil, spleen and bone marrow revealed binding patterns that are inconsistent with those of any conventional antibody, suggesting that the monoclonal VLR antibodies recognize novel antigens. Interestingly, we observed greatly increased VLR antibody binding to memory B cell populations in blood of individuals diagnosed with the autoimmune disorders Systemic Lupus Erythematosus (SLE) and Multiple Sclerosis (MS). Our data indicate that monoclonal VLR antibodies hold promise as novel reagents with a wide range of application potential in basic and clinical research. 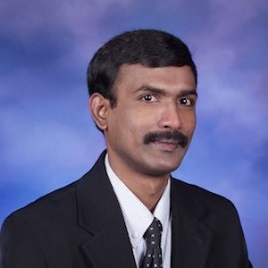 Ashok Kumar is a Professor in the Department of Pathology and Laboratory Medicine and in the Department of Biochemistry, Microbiology and Immunology at the University of Ottawa, Ontario, Canada. He is also a Senior Scientist at the Children’s Hospital of Eastern Ontario, Research Institute, Ottawa, ON, Canada. 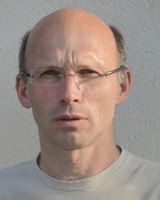 His main research interests are in the field of HIV immunopathogenesis, induction and regulation of apoptosis in HIV-infected human macrophages, regulation of T helper cytokines in health and disease and Toll-like receptor signaling in healthy and HIV-infected innate immune cells such as human macrophages and macrophage subsets. To eradicate HIV in individuals on ART (antiretroviral therapy), it is imperative to eliminate both CD4+ T cells and myeloid cell reservoirs. Most research to-date has focused on eliminating the latent reservoir of CD4+ T cells. However, information regarding the potential elimination of HIV-infected macrophages is lacking. We have previously demonstrated that resistance of monocyte-derived macrophages (MDMs) to Vpr-induced effects was attributed to inhibitors of apoptosis (c-IAP-2) expression. These results suggest that strategies based on suppressing IAP-1/2 by its specific inhibitor, smac mimetics (SM) may be useful in killing HIV-infected macrophages. Our results show that SM do not affect uninfected normal MDMs but selectively kill in vitro HIV-infected macrophages, and macrophages derived from the HIV-infected patients. We also show that by using HIV-GFP strain, SM induced apoptosis of HIV- infected macrophages. In addition, HIV-chronically infected U1 cells were highly susceptible to SM-induced apoptosis in contrast to its corresponding U937 cells. We have investigated the molecular mechanism governing selective apoptosis of HIV-infected macrophages by SM. Our results show that SM induced macrophage cell death through apoptosis and not through necroptosis. Furthermore, SM-induced apoptosis in HIV-infected macrophages is not mediated through TNF-?. In addition, in vitro HIV infection inhibits expression of RIP-1, RIP-3 and TRAF-1 and bid. Inhibition of Rip-1 by its inhibitor, necrostatin, induced cell death in normal macrophages following treatment with SM suggesting a key role for Rip-1 in SM-induced killing of HIV-infected macrophages. Overall, the results suggest that inhibitions of IAPs could be a potential strategy to selectively kill HIV-infected macrophages. Hiroki Konno has completed his PhD from Tokyo Institute of Technology (Tokyo Tech) in 2002 and Post-doctoral studies from Tokyo Tech. In 2006, he joined chemical resources laboratory, Tokyo Tech, as an Assistant Professor. In the above period, he has studied regulation mechanism of rotary motor, ATP synthase, with biochemical and biophysical methods. 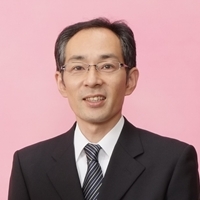 Since November 2011, he has been with the Imaging Research Division of Bio-AFM Frontier Research Center, Kanazawa University, where he is currently an Associate Professor. 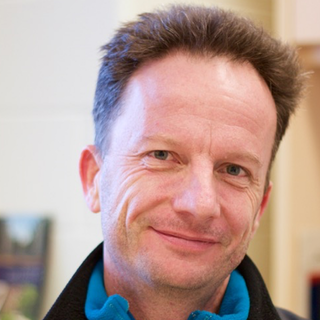 His current research interests include observing protein molecule in dynamic action with HS-AFM. Peroxiredoxin (Prx) is an ubiquitous antioxidant enzyme that reduces reactive oxygen species (ROS) such as hydrogen peroxide, organic peroxide and peroxynitrite. Prxs are classified into typical 2-Cys Prx, atypical 2-Cys Prx and 1-Cys Prx based on the number of cysteine residues and the catalytic mechanisms for their peroxidase activity. The function of 2-Cys peroxiredoxins (2Cys-Prxs) can be converted alternatively from peroxidases to molecular chaperones. This conversion has been reported to occur by the formation of high molecular weight (HMW) complexes upon overoxidation of or ATP/ADP binding to 2-Cys Prxs that appear in electron micrographs as spheres, decameric rings, double-stacked decamers or further stacked filaments. However, the entity responsible for the chaperone function is under debate. We employed the high-speed atomic force microscopy (HS-AFM) to investigate correlation between structure of HMW complex of human PrxII (hPrxII) and its chaperone activity. By the HS-AFM observation, we found that upon binding to phospholipids dimeric human 2-Cys PrxII (hPrxII) is assembled to small oligomers with full chaperone and null peroxidase activities. Spherical HMW complexes are formed, only when phospholipids is bound to overoxidized or ATP/ADP-bound hPrxII. The spherical HMW complexes are lipid vesicles covered with hPrxII oligomers arranged in a hexagonal lattice pattern. Thus, these lipids can be supplied by increased membrane trafficking under oxidative stress, are essential for the structural and functional switch of hPrxII and possibly most 2-Cys Prxs. Guava leaf tea, has been used as a folk medicine for treating hyperglycemic conditions in Asia and Africa. The hypoglycemic efficacy of guava leaf has been documented by many scientists in these regions, but the hypoglycemic mechanism is poorly understood. Guava leaves were extracted with methanol and the crude extract was partitioned against hexane, ethyl acetate, and butanol in sequence. The leftover in water is defined as the aqueous partition. A second smaller batch was extracted with hot water directly. Our study confirmed the hypoglycemic efficacy on healthy mice and found the most effective molecules reside in the aqueous partition which is also less cytotoxic to Chinese hamster ovary cells when compared to other less polar partitions. Therefore, the guava leaf tea can serve as a functional hypoglycemic drink that is suitable for either healthy or diabetic subjects. Coincidentally the aqueous partition possesses a potent inhibitory effect on protein tyrosine phosphatase 1b (PTP1B) enzymatic activity and this PTP1B inhibition is through a slow oxidative inactivation on the enzyme. Microarrays are powerful tools utilised in genomics allowing high throughput analysis of mRNA abundance. They have found application in many areas of drug discovery and development including comparative assessment of normal and diseased state tissues, transcription and expression profiling, side-effect profiling, pharmacogenomics and identification of biomarkers. In this application they were utilised to examine Caco-2 cells used in transport studies, investigating potential correlations between expression flux of genes coding for transpoter proteins known to interact with model drugs, and in vitro and in vivo permeability of the drugs, with a view towards developing a tool for predicting drug bioavailability early in the drug development pipeline. Lisinopril, Ramipril and Spironolactone formulations developed in house were used as model formulations. In vitro and in vivo uptake data was gathered for each formulation and focus was on genes coding transporters ABCB1, SLC15A1, SLC15A2, ABCC2 and SLCO1A2 following microarray analysis. Shortlisted genes of interest, all exhibited non-significant flux in expression levels in Caco-2 following analysis after transport studies using model formulations. There were however numerous SLC and ABC genes for which the expression had changed significantly. These were subsequently investigated using the Koyoto Encyclopaedia of Genes and Genomes (KEGG) to identify their function and seek clarity about the findings. Athough no clear cut revelations were derived from this study, the data strongly suggested that further research is warranted in this area, where future work intends to utilise a much larger formulation repertoire in conjunction with novel computational approaches currently in development to illucidate trends. Recently, scientific community dedicated to the development of sustainable agricultural techniques have focused their attention and concern towards the application of engineered nanoparticles (ENPs), since the use of metal oxide nanoparticles could result in their accumulation in soil, threatening higher terrestrial plants. ENPs are able to interact with biomolecules, creating functional nanosystems for transportation within cells, and leading to the study of their potential applications in the field of Plant Biotechnology. On the other hand, the physical and chemical features of carbon nanomaterials such as multi-walled carbon nanotubes (MWCN) and graphite oxide (GO) NPs, had been used to promote plant’s growth, and seeds germination. Therefore, this report focus on the application of copper nanoparticles (Cu NPs), iron oxide (Fe2O3 NPs), MWCN and GO NPs, to seeds and plants of Solanum lycopersicum, Capsicum annuum, Cucumis melo and Rhapanus sativus, to evaluate germination and plant growth characteristics. Imbibition of tomato seeds in Cu NPs significantly improved germination (14.3%), seedlings vigour (69%), plumule and radicle length increased by 20% and 95% respectively compared to control. In pepper seeds, Cu NPs also promoted vigour (118%) and seeds germination (10.2%); improved seedlings growth was reflected by longer plumule and radicle length (8% and 15% correspondingly). For C. melo Fe2O3 NPs also enhanced vigor (30%), germination (16.5%), plumule and radicle length by 20% and 95% respectively compared to control plants. On R. sativus MWCN and GO NPs reduced plants growth and vegetative development, suggesting a phytotoxic effect by these carbon NPs. Experimental evolution of RNA (or DNA) is a powerful method to isolate sequences with useful function (e.g., catalytic RNA), discover fundamental features of the sequence-activity relationship (i.e., the fitness landscape), and map evolutionary pathways or functional optimization strategies. However, the limitations of current sequencing technology create a significant undersampling problem which impedes our ability to measure the true distribution of unique sequences. In addition, synthetic sequence pools contain a non-random distribution of nucleotides. We present and analyze simple models to approximate the true sequence distribution. We also provide tools that compensate for sequencing errors and other biases that occur during sample processing. 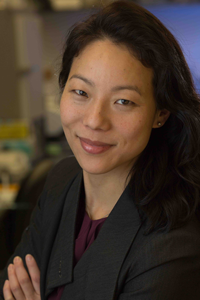 Dr. Naomi Matsuura, PhD, P.Eng., is currently an Associate Professor in Materials Science & Engineering and the Institute of Biomaterials & Biomedical Engineering (IBBME) with a cross-appointment in Medical Imaging at the University of Toronto. Dr. Matsuura leads a research program at the intersection of nanoengineering and medicine, focusing on the design of new contrast agents to guide the imaging and treatment of disease. Awards and recognitions include the John C. Polanyi Prize in Physiology/Medicine and Physics, an NSERC Discovery Accelerator Award, and the Early Researcher Award from the Ontario Ministry of Research and Innovation. Imaging is a fundamental tool in the practice of medicine. The interaction of medical imaging radiation with new materials has long been exploited to develop new and improved imaging systems and techniques. In parallel with these advances, there is increasing interest in developing new contrast agents for the diagnosis of disease. Exogenous contrast agents are non-native sources of contrast that differentially scatter, absorb, or emit medical imaging radiation (e.g., sound waves for ultrasound imaging, radiofrequency waves for magnetic resonance imaging, near IR light for photoacoustic imaging, and x-rays for computed tomography and mammography) as compared to surrounding tissues and inherent background noise such that their location can be tracked upon introduction into a patient. At the forefront of new contrast agent development are new, clinically-relevant, materials that can be activated by medical imaging radiation external to the patient and under image guidance, to characterize and treat cancer. Since the contrast agents’ in vivo distribution and interaction with radiation are strongly size- and material-dependent, a new opportunity in engineering is the creation of new nanoscale systems that can be tailored for specific contrast imaging and with therapeutic properties. This talk will focus on the development of new perfluorocarbon agents that can facilitate more focused and targeted delivery of cancer therapies to tumours for higher therapeutic ratios, and can permit the treatment of hard-to-access organs like the brain in a minimally-invasive manner. The production of a homogeneous protein sample in sufficient quantities is an essential prerequisite not only for structural investigations but represents also a rate-limiting step for many functional studies. In the cell, a large fraction of eukaryotic proteins exists as large multicomponent assemblies with many subunits, which act in concert to catalyze specific activities. Genome editing allows to isolate native protein complexes produced from their natural genomic contexts but their limited natural abundance is often limited and so recombinant expression and reconstitution are then required. The baculovirus expression vector system (BEVS) has turned out to be particularly powerful, unlocking the structure and mechanism of many important complex assemblies that had remained inaccessible to detailed analysis beforehand. Here, we will comment on current developments and their potential to accelerate protein complex research: Use of Lambda red recombination in E. coli for manipulation and improvement of the baculoviral genome, vector development for parallel expression/co-expression screening and assembly of multi-gene constructs from synthetic biology approaches. As model systems, we will use human multi-protein complexes invoved in the regulation of gene expression such the pTefb cdk/cyclin pair, nuclear hormone receptor complexes or the 10 subunits transcription/DNA repair complex TFIIH. We will describe state-of-art strategies for the efficient production of multiprotein complexes using the baculovirus/insect cell expression system. Here, we will comment on current developments and their potential to accelerate protein complex research: Use of Lambda red recombination in E. coli for manipulation and improvement of the baculoviral genome, vector development for parallel expression/co-expression screening and assembly of multi-gene constructs from synthetic biology approaches. As model systems, we will use human multi-subunit transcription factors such as Cdk/cyclin pairs, nuclear hormone receptor complexes or the 10 subunits transcription/DNA repair complex TFIIH. 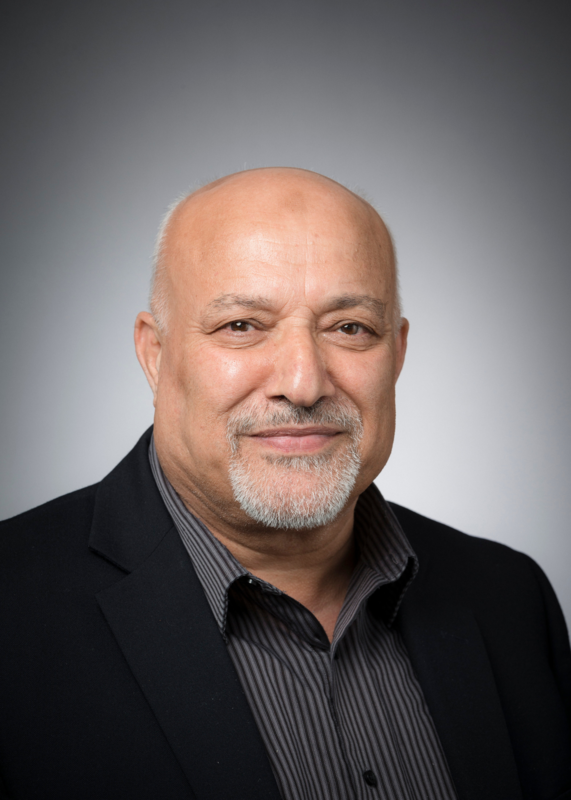 Faiez Alani obtained his PhD and MSc from University of Strathclyde and was Visiting Professor at University of Waterloo. He was Assistant Professor at Brandon University, Manitoba, and currently is Associate Professor of Nanobiotechnology at School of Engineering Practice and Technology at McMaster University. He served as Chair of Biotechnology at McMaster and is serving as Editorial Board Member for The International Journal of Engineering Education (IJEE), and Journal of Science and Technology Policy Management (JSTPM), Member of the Society for Industrial Microbiology and Biotechnology. He has published more than 30 papers in world class journals. Production of silver and gold nanoparticles by biosynthesis have many advantages over chemical and physical synthesis. Biogenic nanoparticles are cheaper, environmental friendly, and biologically compatible as compared to chemical and physical method. In this presentation different biosynthesis methods of nanoparticles are discussed such as using microbial cells, bacteria, yeasts and moulds under different environmental conditions. Optimization, scale-up, engineering and applications of nanoparticles such as antimicrobilal agents, nanomedicine, diagnosis & therapy, in addition to gene and drug delivery will also be discussed. Gloriosa superba seed is the most important traditional plant-based colchicine source for pharmaceutical industry. Colchicine prevents microtubules assembly and thereby suppresses cancer cell division by inhibiting mitosis as well as successfully used in gout medicine. My lab established the biorhizome platform to biomanufacture natural isomer colchicine, which is a new biotech concept in industrial biotechnology. However, limited emphasis has been placed on identifying colchicine biosynthetic pathway genes in G. superba biorhizome. In addition, understanding the dynamics of biorhizome developmental events is essential to improve the colchicine biomanufacturing. The presentation will cover current knowledge of colchicine biosynthetic pathway elucidation and biorhizome-based colchicine biomanufacturing. 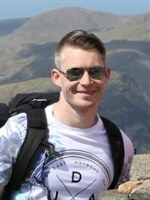 Williams Turpin has completed his PhD in Microbiology from Montpellier II University (France), and Post-doctoral studies from University of Toronto (Canada). He is now a Research Associate at University of Toronto/Mount Sinai Hospital, currently working in the field of Human Genetics and its microbiome relationship in the context of inflammatory bowel diseases. He published six papers related to the field of Food Microbiology. His current work was acknowledged by five publications, with two of them published in high impact factor journals. He recently received one national (CDDW2015) and three international awards (UEGW2015, DDW2015-DDW2016). The relationship between the lactic acid bacteria composing the microbiota of tropical starchy fermented foods and humans has been poorly investigated. Most of the studies focus on a combination of phenotypical (cells models, animals) and clinical trials. However, the increasing number of genomic data allows new strategies. Lactic acid bacteria (LAB) can synthesize molecules of interest during fermentation of food. The objective of this work was to screen the presence of around 50 genes involved in probiotic functions in a collection of 152 lactic acid bacteria isolated from an African fermented cereal based food called ben-saalga, and in the metagenome of various starchy fermented foods. In this study, several primers have been designed allowing the detection of genes of interest by PCR. The genetic screening is efficient in determining the potential linked to simple functions (B vitamins and carotenoids synthesis, starch metabolism, tannin degradation), as in most cases it allows to limit the number of phenotypical tests to the strain harbouring the genes of interest. On the contrary, more complex functions such as cell binding or bacterial survival, estimated in vitro (low pH, bile salts, cell models, surface plasmonic resonance imagery) revealed the limit of the approach. The genetic screening of the metagenomes shows that the traditional starchy fermented foods harbour a promising probiotic and nutritional potential. Nadeem Akhtar has completed his PhD in Biotechnology from Thapar University, India and is currently is a Post-doctoral fellow in the Department of Animal Biosciences, University of Guelph, Canada. 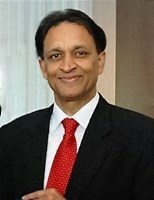 He has published more than 15 papers in reputed journals and filed a patent in India. He has also been serving as a Reviewer for few reputed journals such as Environmental Progress & Sustainable Energy, Journal of Taiwan Institute of Chemical Engineers, Bioinfo Publications etc. Early weaning of pigs can lead to low feed intake resulting in a lag in growth, performance and intestine infection. Epidermal growth factor (EGF), the most abundant growth factor in milk, increased weaned pig body weight gain and feed efficiency in our previous work. It is believed that intestinal microbiota plays an important role in pig growth but data is limited on the impact of feed additives on intestinal microbiota. The objective of the study is to investigate, if the positive influence on weight gain, and intestinal health with dietary EGF supplementation is related to differences in intestinal microbiota. Pichia pastoris were engineered to secrete porcine EGF using codon-optimized sequence. To examine the efficacy of EGF, an animal trial was performed using 72 pigs (2 equal blocks of 36 pigs with 3 barrows and 3 gilts/pen). The animals were assigned to one of two dietary treatments at weaning (20±2 d of age; n=6 pens/treatment) balancing across treatment for litter, gender and initial BW. Supernatant with EGF at 120 µg/kg BW/d and without EGF (control) was added to the feed for 21 d, followed by a common diet for 7 d. Animal performance was monitored on a weekly basis and ileal digesta samples were collected for microbiome analysis after 21 d of treatment. Pigs fed diets containing EGF fermentation supernatant had a greater (P=0.01) overall daily gain which is consistent to our previous finding. No difference in alpha-diversity (Chao1, Shanon, and Simpson indices) and beta-diversity (weighted and unweighted UniFrac distances) of ileal digesta microbiota between EGF supplemented and control pigs were observed. The relative abundances of bacterial taxa did not differ among treatment groups at the phylum level; however, the abundances of Corynebacterium (0.0 vs 0.9%), Blautia (0.003 vs 0.26%), and Coprococcus (0.0 vs 0.05%) genera and Rumminococcaceae family (0.001 vs 0.08%) were decreased (P<0.05) in EGF group compared to control, which might positively influence intestinal health. Lázaro Verdiguel-Fernández has completed his Master’s degree from National Autonomous University of Mexico. Currently, he is a PhD student. He is Professor of Veterinary Immunology and Applied Molecular Microbiology and directed five undergraduate thesis. He has published one paper in Archives of Microbiology Journal. He has participated in the International Brucellosis Research Conference including the “69th Annual Brucellosis Research Meeting”, New Delhi, India, 2016. 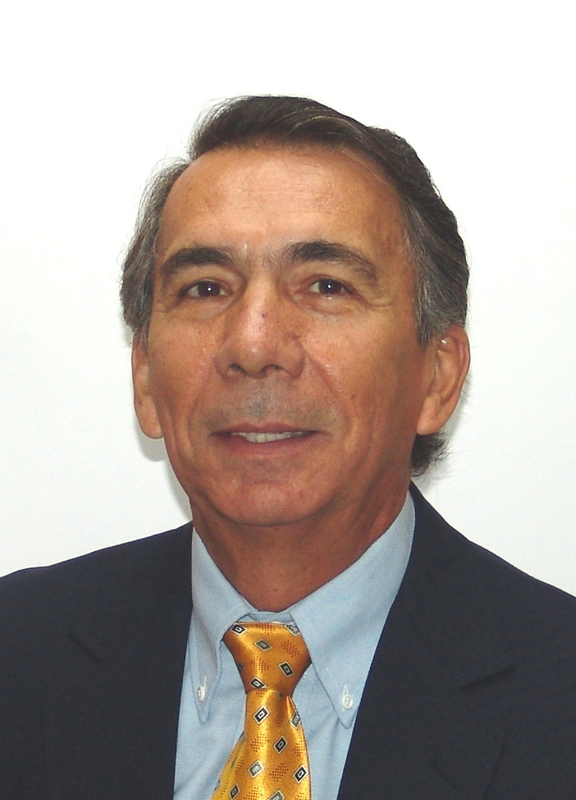 He is a member of the Biotechnology Committee of the National Technical Advisory Council on Animal Health of Mexico. Brucellosis is an infectious disease that affects practically all species of mammals, including humans, and is a major zoonosis worldwide. Brucella sp. are facultative intracellular pathogens that have the ability to survive and multiply in phagocytic and non-phagocytic cells such as trophoblast and epithelial cells. Among the six recognized species of the genus Brucella, Brucella melitensis is the main etiological agent involved in goat brucellosis and is also the most pathogenic for human. It causes significant losses in livestock production as a result of abortions, metritis, infertility, and birth of weak animals. Outer membrane proteins (OMPs) are exposed on the bacterial surface and are in contact with cells and effectors of the host immune response, whereby they could be important virulence factors of Brucella species. To evaluate this hypothesis, the gene encoding for the major outer membrane protein Omp31 was amplified, cloned into pUC18 plasmid, and inactivated by inserting a kanamycin cassette, rendering pLVM31 plasmid which was transformed into B. melitensis wild-type strain to obtain LVM31 mutant strain. The outer membrane (OM) properties of the mutant strain were compared with B. melitensis Bm133 wild-type and B. melitensis Rev1 vaccine strains, in assessing its susceptibility to polymyxin B, sodium deoxycholate, and nonimmune serum. The mutant strain was assessed in vitro with survival assays in murine macrophages J774.A1 and HeLa cells. Our results demonstrate that LVM31 mutant is more susceptible to polymyxin B, sodium deoxycholate, and nonimmune serum than control strains. Moreover, Omp31 mutation caused a decrease in the internalization and a significant decrease in the intracellular survival compared with the reference strains in both cell lines. These results allow us to conclude that Omp31 is important for maintaining OM integrity, but also it is necessary for bacterial internalization, establishment and development of an optimal replication niche, and essential for survival and intracellular multiplication. Vera-Reyes I has completed her PhD from the Centro de Investigación en Estudios Avanzados del Instituto Politecnico Nacional, Mexico D F. She is a CONACYT Research Fellow. In this study, we investigated the antimicrobial properties of pure zinc oxide nanoparticles (ZnO NPs), Cu NPs and Fe2O3 NPs, against two plant pathogenic fungi: Fusarium oxysporum, Alternaria solani and one bacterial strain: Clavibacter michiganensis, which are the main microorganisms responsible for severe diseases of a large number of agricultural crops. Metal nanoparticles were applied at various concentrations (0, 250, 500 and 1000 mg L-1) to determine their in vitro antimicrobial activity. We synthesized ZnO NPs at room temperature by using a mechanically assisted metathesis reaction that permitted the formation of spherical NPs with mean sizes of around 20-30 nm. NPs characterization was accomplished by X-ray diffraction; particles size and shape were determined by TEM. We compared the effect of engineered NPs against commercial Cu and Fe2O3 NPs of similar size and shape. Antifungal activity of NPs was evaluated on PDA media, and King´s B medium was used for bacteria. ANOVA and Tukey multiple range tests were employed to analyse data. Cu NPs showed the greatest antimicrobial activity against both fungal strains, followed for ZnO NPs. In contrast, ZnO produced maximum growth inhibition against the bacteria C. michiganensis. On the other hand, Fe2O3 NPs did not exhibit antimicrobial activity with these phytopathogenic strains. Based on these results, it is viable that tested ZnO and Cu NPs could be used in programs of sustainable agriculture, since they are required in minute quantities by comparison to conventional pesticides. Emily K Hill is in the process of completing her MSc (Animal Biosciences) from the University of Guelph in Dr. Julang Li’s laboratory. She is scheduled to defend in August 2017 and has one publication so far. An aspiring veterinarian, she will begin her DVM degree at the Ontario Veterinary College in the Fall Semester. Clinically-relevant pathogens are rapidly developing resistance to conventional antibiotics making infection control difficult. Methicillin-resistant Staphylococcus aureus (MRSA) is a gram-positive bacterium commonly found to be multidrug-resistant. As infections incited by MRSA are associated with increased rates of mortality compared to drug-sensitive strains, their presence in healthcare settings and emergence in the community is of growing concern. Protegrin-1 (PG-1) is a broad spectrum antimicrobial peptide effective against bacteria and antibiotic-resistant bacteria. PG-1 may be a potential alternative to conventional antibiotics and its promising therapeutic abilities have been previously demonstrated in infection models and in the reduction of inflammation in chemically-induced murine colitis. In the current study, proform PG-1 (ProPG) was designed to include a novel cleavage site and recombinantly generated for more efficient activation at sites of tissue inflammation. A widely selective matrix metalloproteinase (MMP) cleavage site was inserted into ProPG 5’ to the native neutrophil elastase site to allow for the more efficient release of mature PG-1 at skin inflammation sites where MMPs are abundantly expressed. Pichia pastoris served as the expression host for the constructed expression vector and fermentation parameters were adjusted for optimal ProPG expression and secretion. Cleavage studies of the introduced MMP site performed with recombinant mouse MMP-3, demonstrated the functionality of the inserted MMP-3 site. Future studies will verify the selectivity of the MMP site and the therapeutic potential of ProPG against MRSA infected skin wounds. Liu Canying has completed her PhD at the age of 28 years from Huazhong Agricultural University College of Veterinary Medicine. She has just graduated and been the lecturer of Foshan University Department of Veterinary Medicine for about one year. She has published 4 papers in famous journals. She mainly performed research projects about the comparative genomic and pathogenicity analyses of bacteria, immunogenicity analyse of outer membrane proteins of bacteria. Antimicrobial peptides (AMPs) are regarded as host defense peptides which processes bactericidal, and they have also been reported to have immunomodulatory function in many tissues. However, their role in the mammalian ovary is unknown. We have previously found that beta defensin 2 (BD2) and beta defensin 3 (BD3) are expressed in granulosa cells and cumulus cells during porcine ovarian follicular development and cumulus-oocyte-complex maturation. We hypothesized that these antimicrobial peptides are involved in the regulation of follicular development in ovaries. Granulosa cells were isolated from small (1-3 mm in diameter) and large (4-8 mm in diameter) porcine follicles and cultured in the absence and presence of 1, 10, and 50 ?g/ml of BD2, and BD3. After 24 hours of treatment, cell numbers were counted using an automated cell counter. It was found that while BD2 appears to have no effect, BD3 stimulated granulosa cell proliferation in a dose dependent manner (p < 0.05). This effect is also dependent on the stage of follicular development, as it is effective on granulosa cell from small but not large follicles. In addition, transwell cell migration assay revealed that in the presence of BD3 (10 ?g/ml), a 2.5 fold increase in cell migration was achieved. To further study the potential pathway involved in BD3 induced cell proliferation; western blots were performed to determine the ratio of phosphorylated- and non-phosphorylated-ERK1/2. It was found that BD3 significantly increased the phosphorylated- ERK1/2 ratio. Moreover, U0126, the specific ERK1/2 phosphorylation inhibitor, suppressed BD3 induced ERK1/2 phosphorylation and proliferation, suggesting that BD3 may stimulate granulosa cell proliferation via activating the MAPK pathway. Our data suggests that antimicrobial peptides may play a physiological role, in addition to being the traditionally recognized immune-defense mechanism, in regulating follicular development in the mammalian ovary.